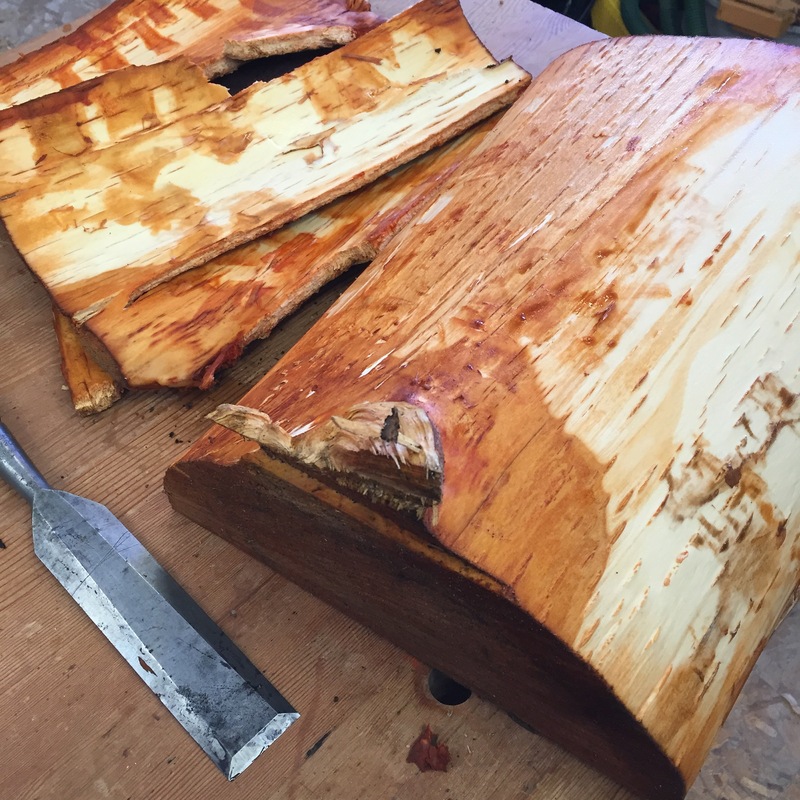 A couple of weeks ago, a red alder fell into one of our city streets. 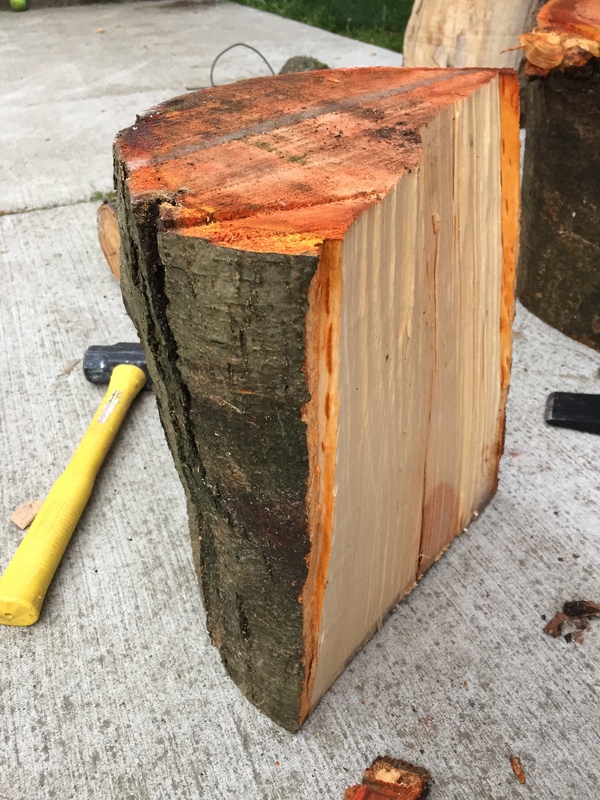 The city did a wise thing and cut the tree up into wood worker sized logs. 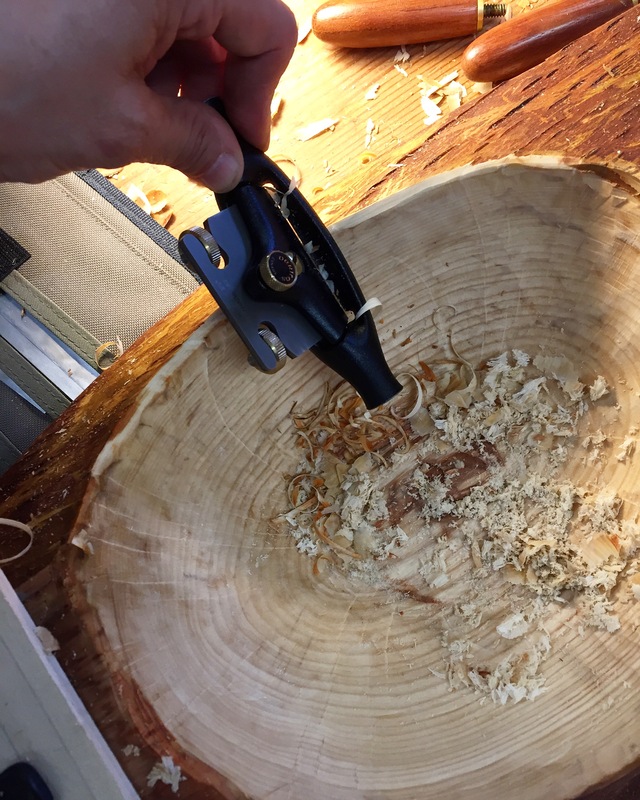 Red Alder, I learned turns bright orange on a cut surface after a day or more of exposure. 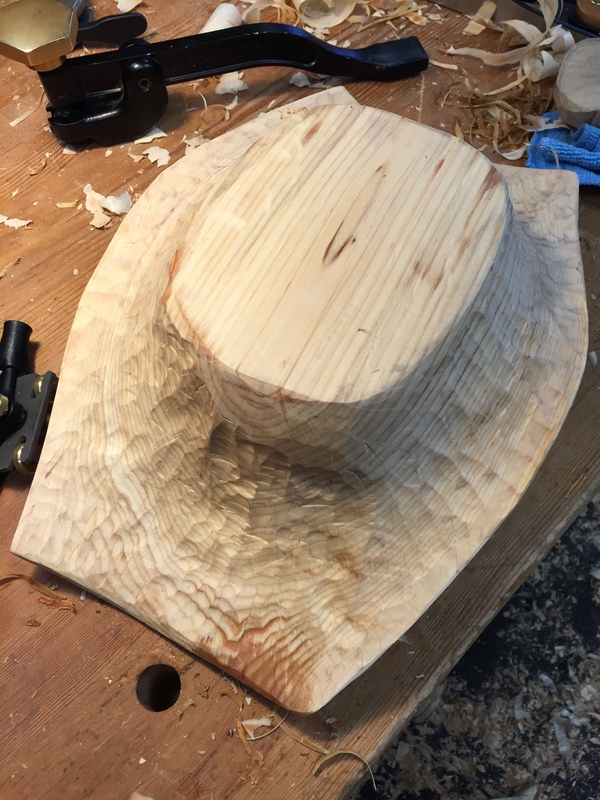 So here are my progress shots. 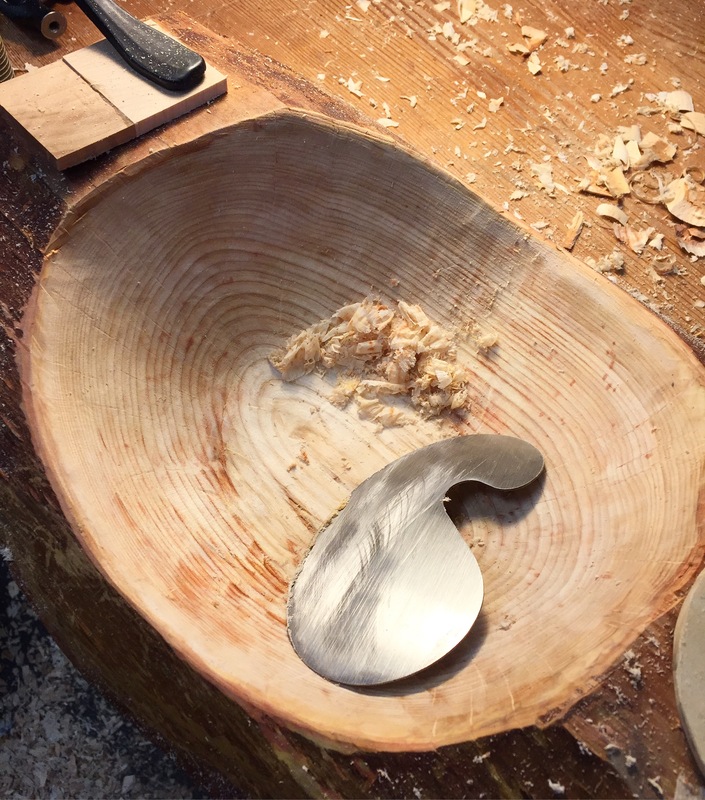 Most of my work was done with my bowl adze. 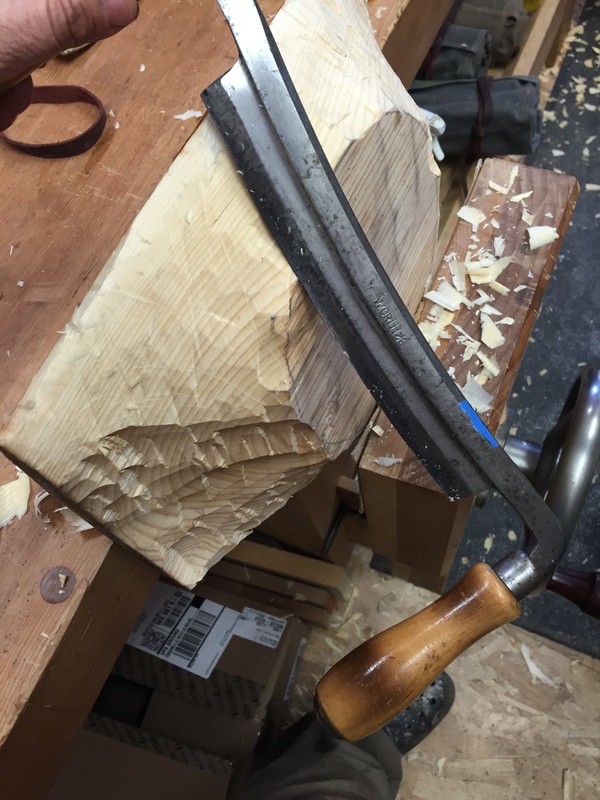 County Workshop is also where I got my bowl gouges. The draw knife and scorp did some of the work. 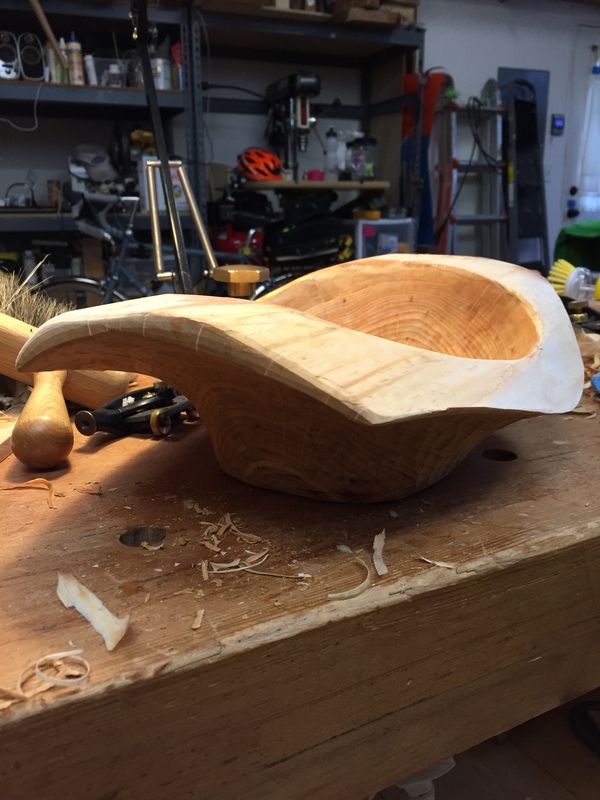 A little bit of clean up with the armless spoke shave. 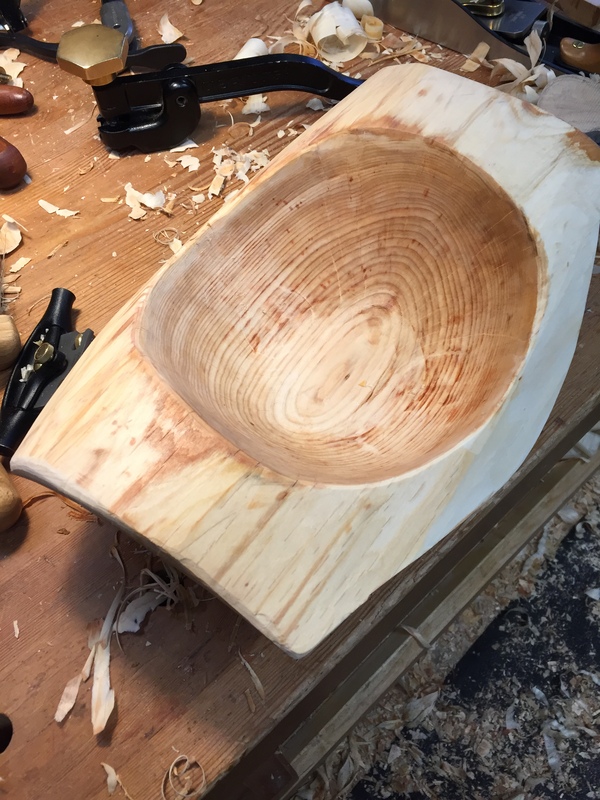 The final bowl pre exposure color. The bowl will darken significantly from this point on. Yes, orange actually as it drys and I add finish. The native Americans here apparently use this wood as their preferred wood for carving. 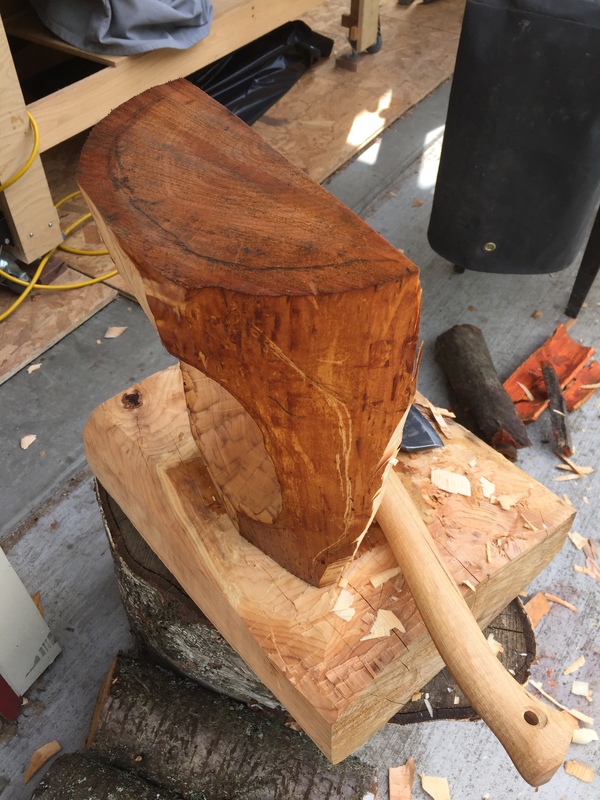 Nicely done adze work! 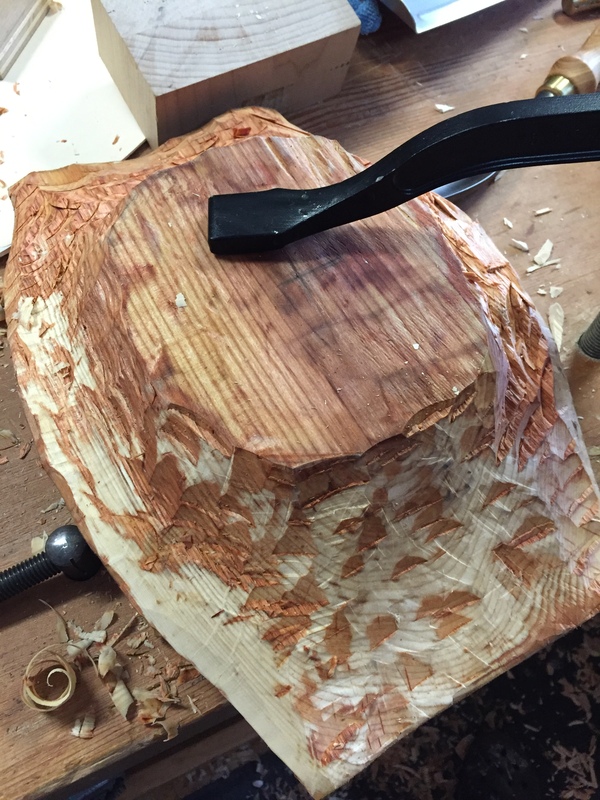 June is almost here, and I look forward to pics of your woodcarving vacation. Thank you for this post! 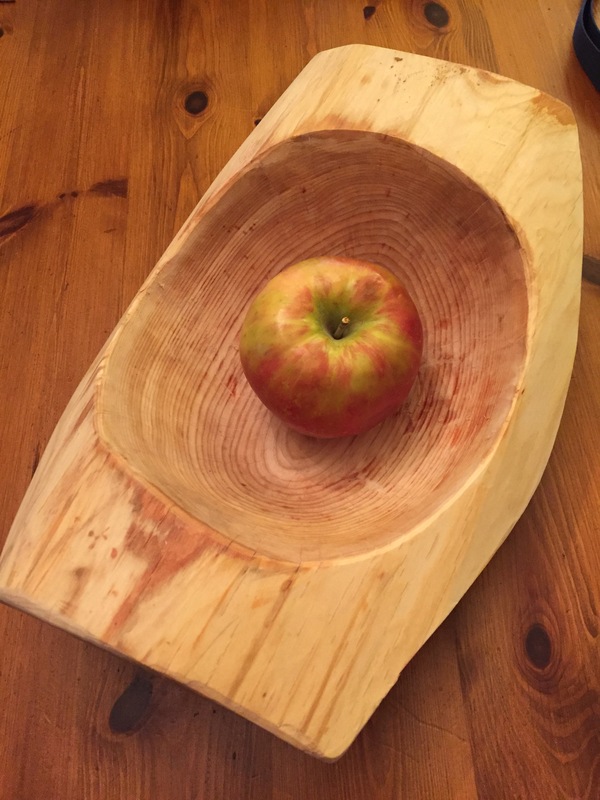 As the red alder is not native to my area, it is interesting to see this wood put to use for your bowl. 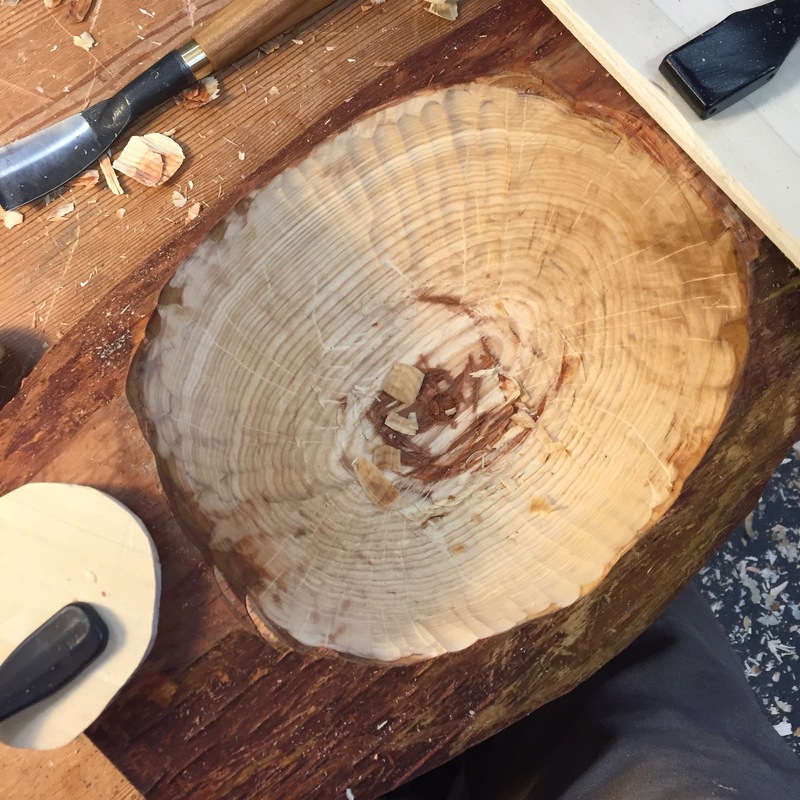 Your thorough photo documentation helps me to see how this wood worked for your project, and it seems to me as if the wood plus your hard work resulted in a very nice bowl. Perhaps I should look at some of your other work as well.